The rent at Bulldog Apartments ranges from $1,200 for a one bedroom to a $2,450 one bedroom. Apartments in this building are about 26% more expensive than the Downtown average. This is a pet-friendly apartment. 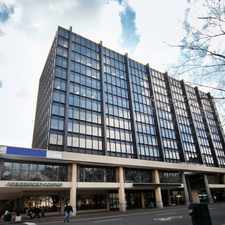 Bulldog Apartments is a seven minute walk from the Shore Line East Train and the Shore Line East Bus Substitution bus at the New Haven State Street Station stop. This apartment is in the Downtown neighborhood in New Haven. Nearby parks include Chapel Street Historic District, The New Haven Green and Temple St and N H Green. Bulldog Apartments has a Walk Score of 98 out of 100. This location is a Walker’s Paradise so daily errands do not require a car. 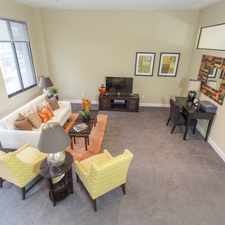 Gorgeous studios, 2 & 3 bedroom apartments in the heart of downtown! 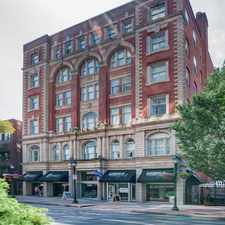 Secured building across from the green and walking distance to Yale Campus, restaurants, shopping, and entertainment. We have reduced our prices and we are offering one month rent free on select units. Offer ends soon! Looking for a home for sale in New Haven? Explore how far you can travel by car, bus, bike and foot from Bulldog Apartments. Bulldog Apartments has excellent transit which means transit is convenient for most trips. Car sharing is available from Zipcar and RelayRides. View all Downtown apartments on a map. Popular apartment searches include hardwood floor, furnished and fitness. Search for homes in New Haven or find a New Haven real estate agent who knows walkable neighborhoods. Links will open on our partner site Redfin.com. Bulldog Apartments is in the Downtown neighborhood. Downtown is the most walkable neighborhood in New Haven with a neighborhood Walk Score of 95.